Augustina Droze is an artist based in Buffalo, NY. She works primarily as a public artist and muralist as well as a painter and art educator. Droze is familiar with large scale public art through her work in mural projects, mixed media installations and sculptures. With over 14 years of experience in the industry she has worked extensively with architects and designers nationwide during every phase of a project. Augustina has worked with a variety of public art agencies including The Chicago Public Art Group, the Baltimore Office of Promotion and the Arts, The Indianapolis Arts Council, Cleveland Public Art, numerous municipalities as well as large corporations including the Forbes Company. 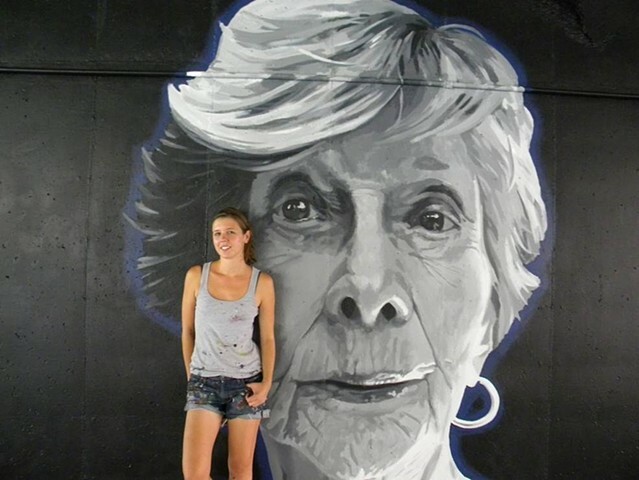 She has also completed public murals in India and Colombia. She is currently a Fulbright-Nehru Senior Scholar working on a mural project in India. Augustina's paintings can be seen in galleries and collections across the country. Augustina is also an art educator with experience teaching students from age 4 to 60 in school and university settings.